The server runs the map vote and selection system that is in standard PR:BF2 servers. Debug is enabled but excessive use can cause the server to become unstable and crash. We wish the server to be used as a greater community resource, so please respect the other players that perhaps are on the server too. Feel free to post in our shout box that you are using it if you wish for others to join in. Remember practise makes perfect, Asking for help is never bad. And we'll see you on the battlefield. A map made by the PR Team for in-house testing but now available to the public. Excellent for small skirmish testing(in the combat simulation village), weapons training(on the fire range up to 800m) and land vehicle training(on the land range). 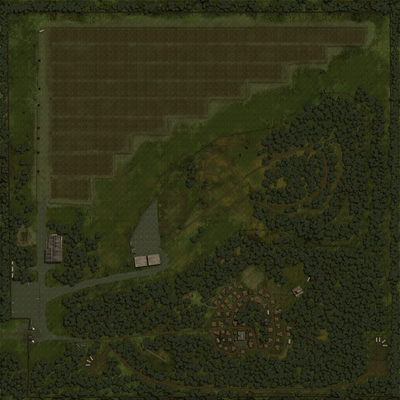 It features a dense forest, a small town, a up to 800m shooting range and some other handy features which make it an excellent map for training,testing and community modding. More info and screens can be found on the official page. A map made by the PR Team for in-house helicopter and jet testing but now available to the public. Excellent for beginner and experienced pilots to learn all the different jets and helicopters and their mechanics,features and weapon systems.It features all the air vehicles in Project Reality. Also a carrier is available for training that. Also target vehicles available and laze markers. Once spawned in bring up chat ( default j,k,l keys). Enabling debug mode is important as most commands can't be done unless debug is enabled. Note: RCON commands must be entered in chat by using the j,k or l keys, NOT in console. Now that you're in debug mode you can use the spawner commands. Its important that you DO NOT spawn anything that isn't in the map you are currently playing as it will crash the game. 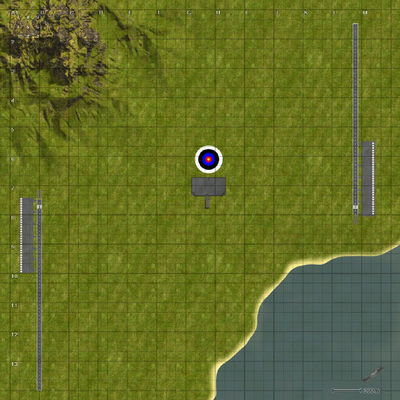 Example spawning a PLA tank on kashan will crash the game. The objects_kits_server.zip will have all the names of the kits for all the different factions. The objects_vehicles_server.zip will have all the vehicles names for all the different factions. You can spawn any vehicle or kit on any team as long as it is on the map you are playing on. If you want to spawn a pre built deployable just put _sp on the end of the name. You can only spawn deployables for the teams on the map. To remove the minimap and hud when in the prbot press the switch weapon key (default F). The kit will probably be invisible so just walk a few meters in front of you and press G. The kit has a UN helmet, so it can be useful in community events. Replace 'playername' with the name of the person you want to instantly respawn. It will spawn all the kits and variants for the faction in a long line. If you teleport to a location that is lower in height than you're current you will fall and die, so be careful.